For travelers, what matters most is to visit the extraordinary archaeological wonder - Terra Cotta Warriors, and then? 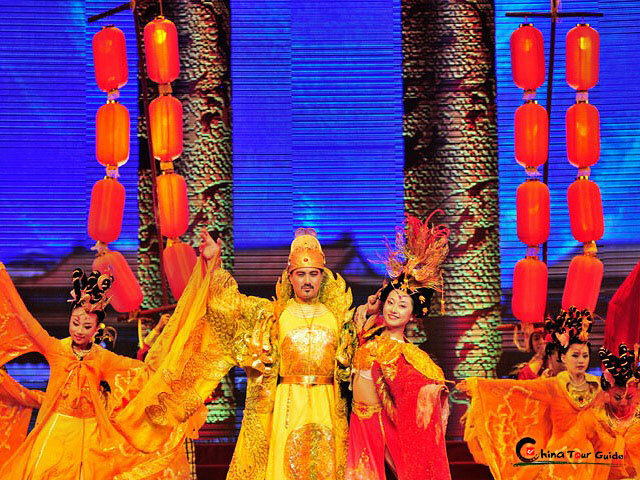 If you can not recall anything else, let us take you on a magical tour to discover the rich heritage of China's Tang Dynasty - Tang dynasty dinner show, which is a thrilling cultural banquet, definitely nourishing your nightlife in Xi'an. 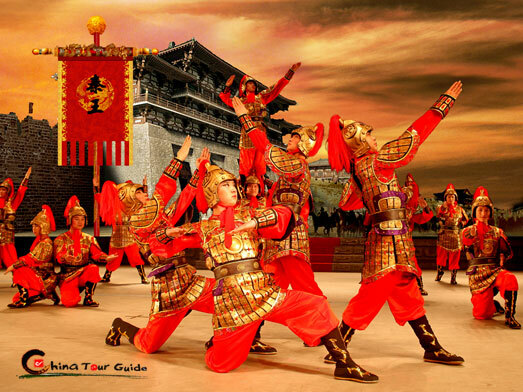 What is Tang Dynasty Show? 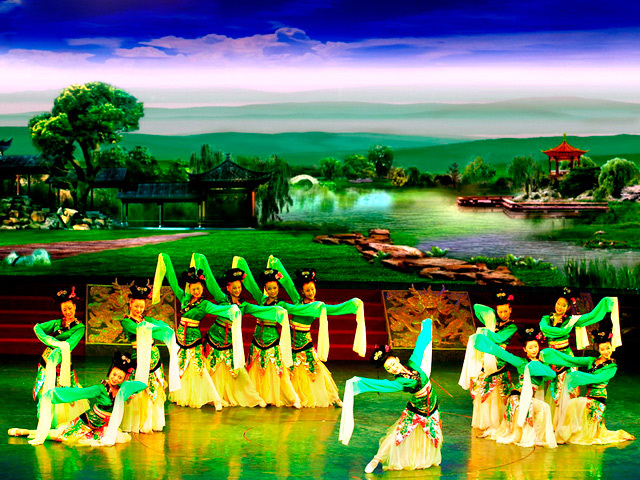 Tang Dynasty Show, boosted by Xi'an Tourism Board and daily operated in major theatres, combines two parts: the fabulous music and dance performance and chinese dumpling banquet, both indulging your eyes and tongue! For lasting a precious treasure of Tang dynasty cultural heritage, Tang Dynasty Music and Dance Show is developed as a blend of ancient melodious music and inspiring dances, along with various Chinese instruments, and it features presenting lots of interesting historical stories to audiences, such as the story of the Monkey King's master - Monk Xuanzang. 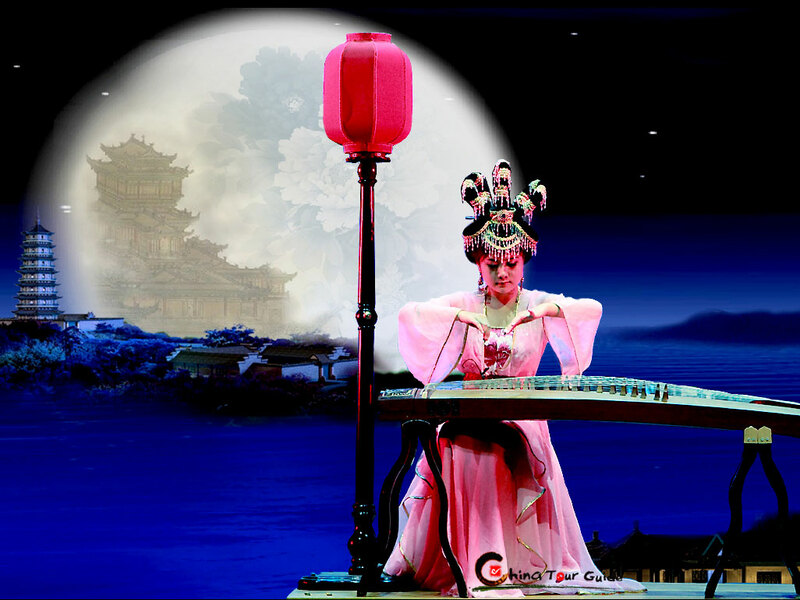 The performance, enhanced by English subtitles and fascinating visual effect, aimes to make more people know about chinese history and cultures. 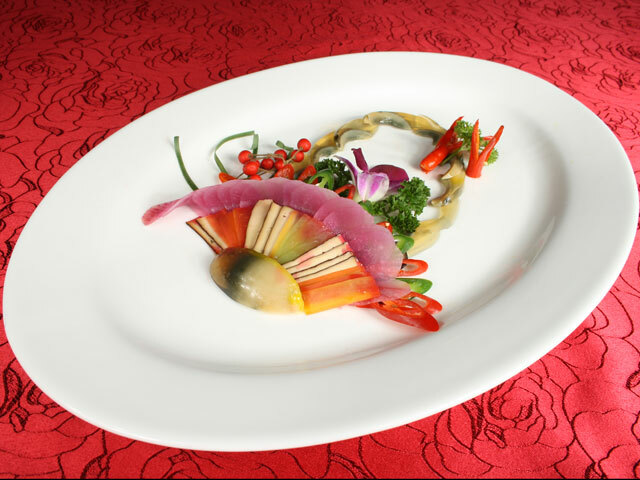 Before the show, it traditionally prepares a wonderful banquet to entertain our noble audiences. 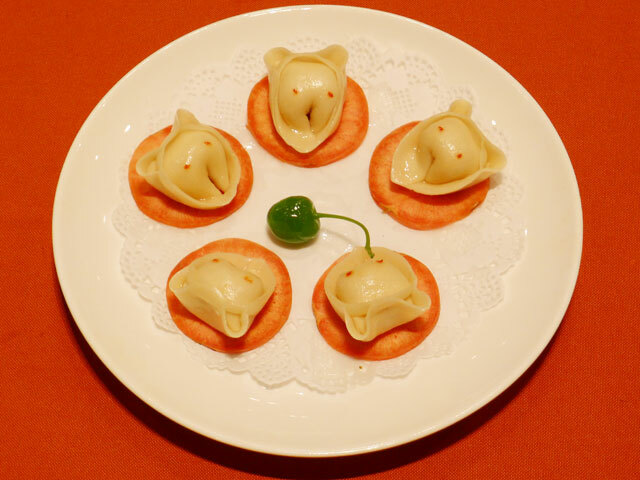 The main source of the dinner is Chinese dumplings, which also named Jiaozi, typically consist of a ground meat and/or vegetable filling wrapped into a thinly rolled piece of dough, which is then sealed by pressing the edges together or by crimping. 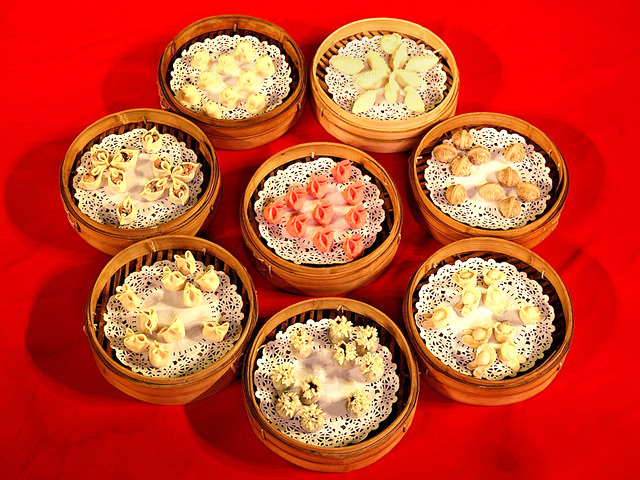 These dumplings features its unique favor, different colors and various shapes, being healthy and nutritional. 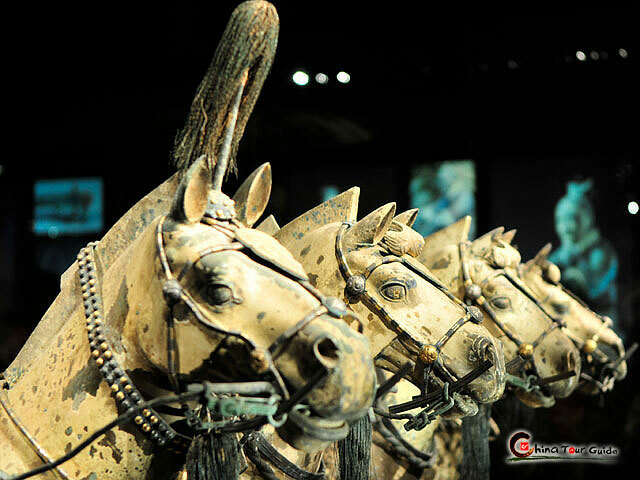 In recent years, as a must-see activity, Tang Dynasty Show has gained high reputation and popularity from home and abroad, expecting hundreds of thousands of visitors every year. Being worthy of a visit, it is destined to come into the sights of world in the future. 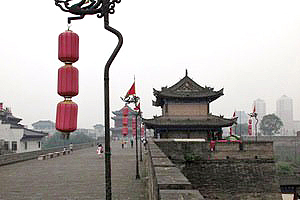 The Tang Dynasty, with its capital at Chang'an (today’s Xi'an), the most thriving city in the world at that time, is commonly regarded as a peak in Chinese civilization. In this era, economy of China developed dramatically, along with Silk Road expanding communication with other foreign regions. Therefore, Chinese culture featured a kind of open cosmopolitan culture, gradually absorbing essences of past dynasties and other ethnic groups. 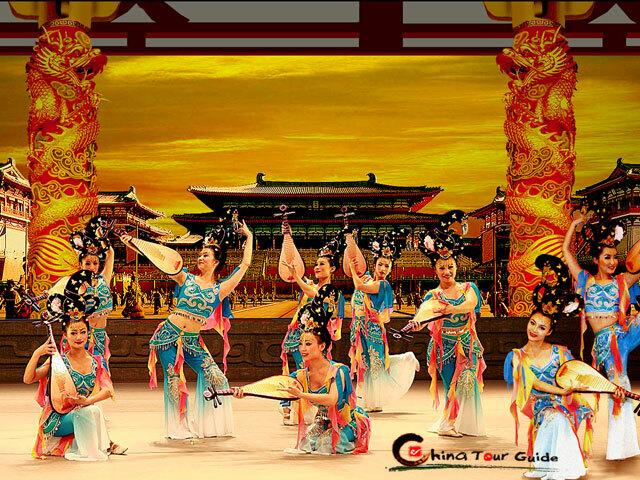 Especially plenty of songs, dances, and musical instruments from foreign regions had become popular in China, thus the music and dance show of Tang dynasty combines distinctive characteristics of Northwest China, central Asia and western Asia. Generally, music and dance show was presented for celebrations or festivals in royal court or mansions of government officials. (e.g. 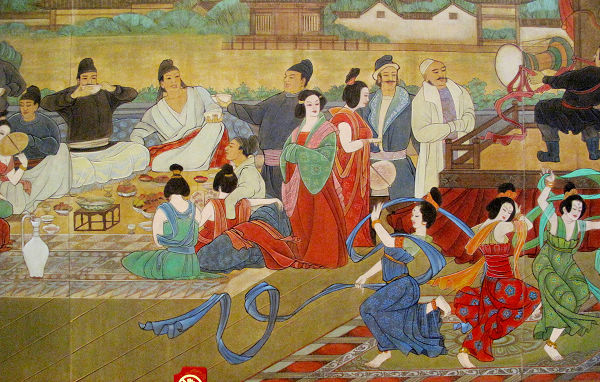 The below left picture showing Tang dynasty court is entertaining diplomatic envoys with a grand music and dance show, while the right famous painting, Hai xizai Evening Banquet Chart, presenting a Tang official of high rank, called Han xizai, are holding a luxurious evening banquet at home to host his colleagues.) Graceful dancers and skilled musicians, producing exciting dances and wonderful music and songs, cooperated impeccably to please noble guests on the spot. As a main entertainment, it was indeed spiritual wealth for ancient people. Where did the show come from? 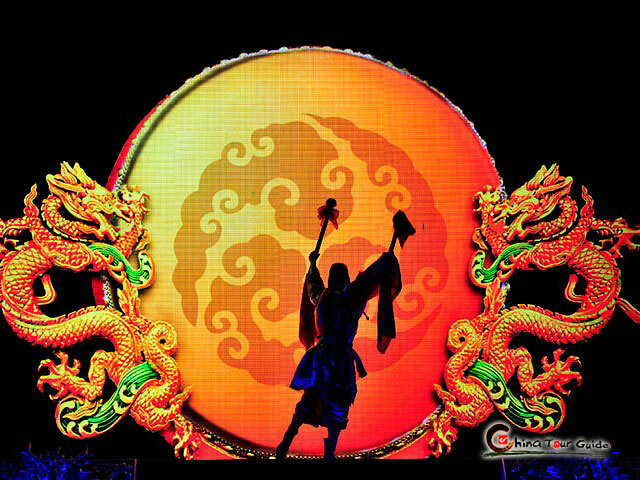 Actually, the real tang dynasty music and dance show, as an art form, had come into the ash of history long long time ago. 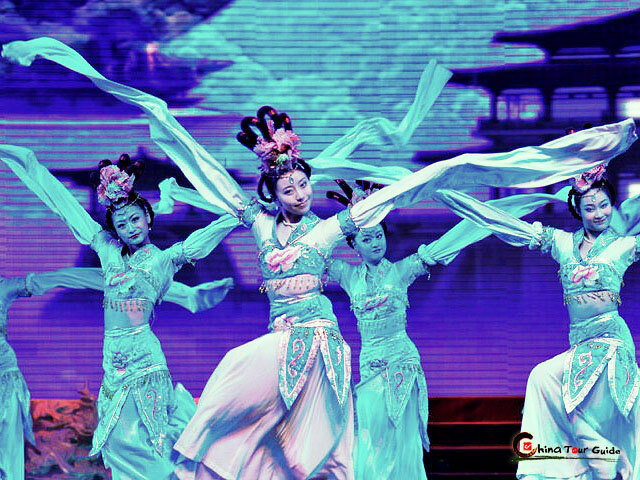 Until 1980s, in order to boost Xi’an tourist industry, Xi’an’s Shannxi provincial Song & Dance troupe finally decided to re-appear music and dance show of Tang dynasty to modern people as a tourist attraction for promoting Chinese ancient Tang Dynasty culture to the world. 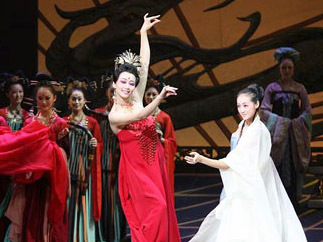 Later many Chinese artists made great efforts to recreate the Tang dynasty music and dance show through a year of studying existing heritages about Tang dynasty culture, such as old written books and faded paintings as well as numerous frescoes, sculptures, carvings of Dunhuang, Luoyang and Yungang. 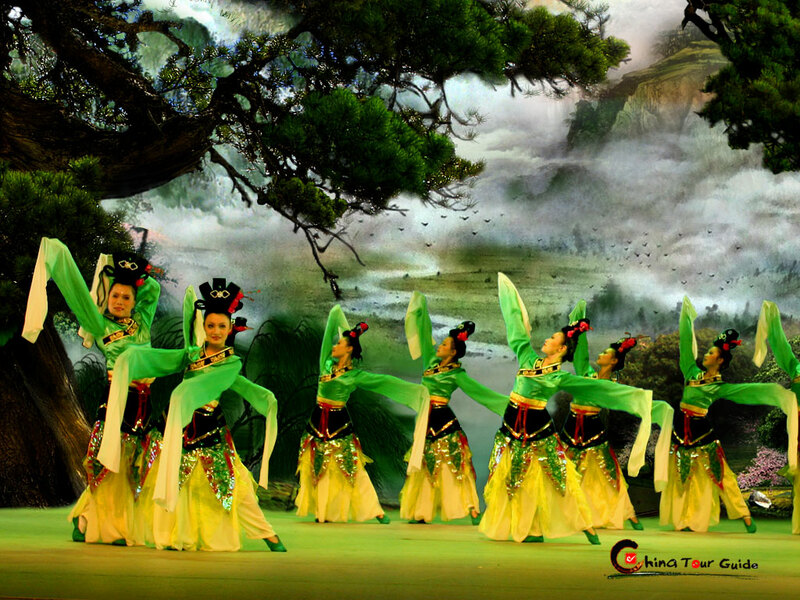 In 1982, a modern Tang dynasty music and dance show come into the eyes of people, and immediately won great reputation from home and abroad. Proved to be very successful, it was also highly praised by a delegation from UNESCO. By now, it has toured many cities of China as well as several foreign countries such as Japan, Russia, Korea, Singapore, Norway, Denmark, etc. 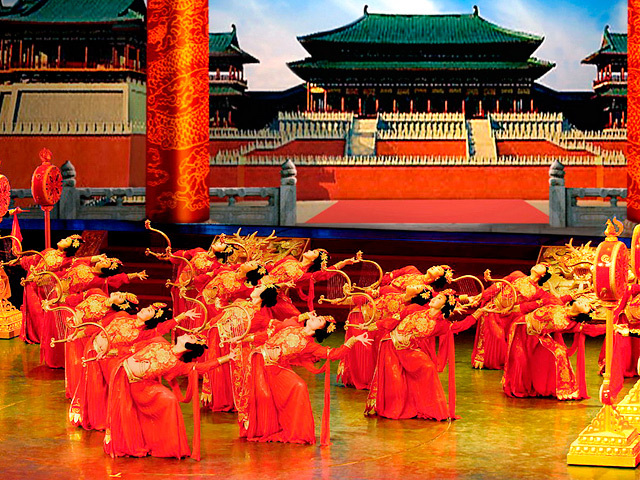 The theatres where is capable of holding an authentic Tang dynasty show in Xi'an are few. 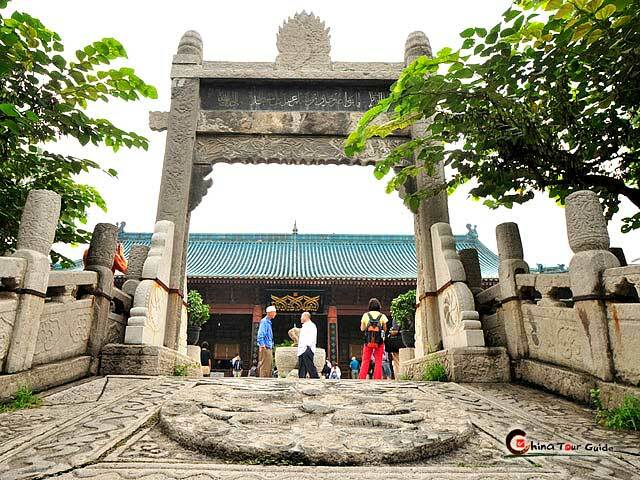 Although Tang Dynasty Palace (Tang Yue Gong) is of high publicity, its high ticket fare keeps most of customers away. Amongst hundreds of our customers' feedbacks, they unanimously recommend Shannxi Sunshine Grand Theatre! 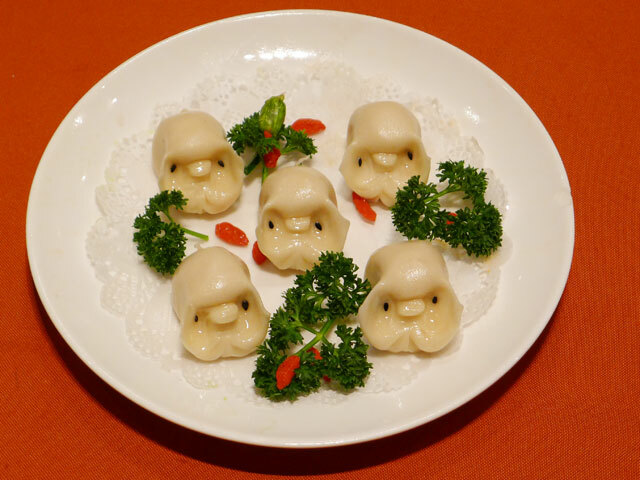 For the excellence in high quality show, delicious Chinese dumpling banquet, favorable ticket fare and convenient transportation, you can choose either at your convenience. 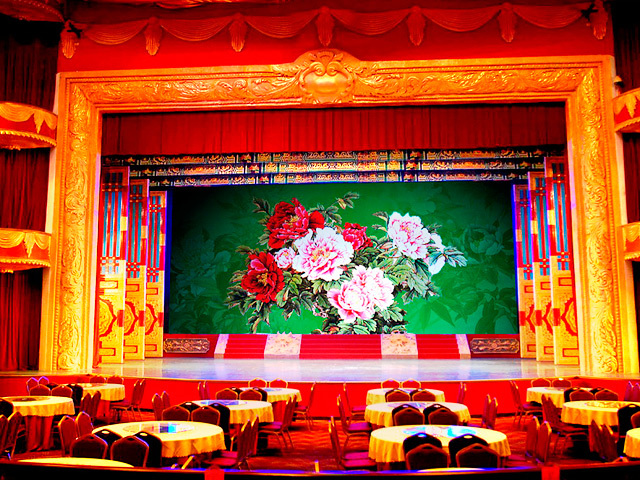 Shaanxi Sunshine Grand Theatre is located at the No.29 of eastern section of Huancheng Road in Xi’an, which was established in December 2004, being a theatre-style restaurant with its attractive performance. 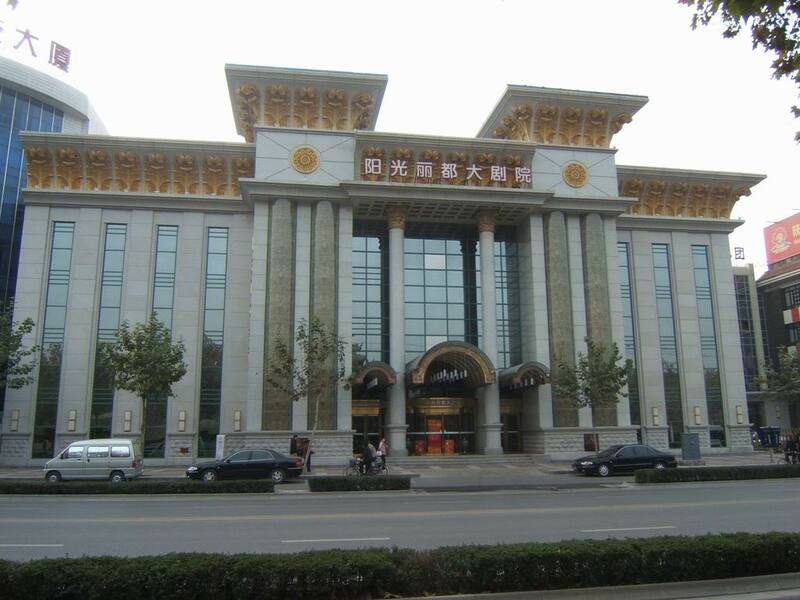 This grand theatre covers an area of about 8,000 square meters and cost 100,000,000 yuan(CNY), owning more than 100 staffs. 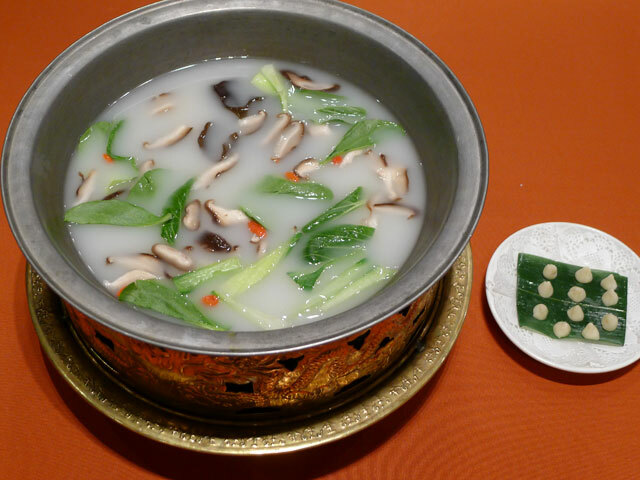 Equipped with advanced stereo system, lightings, first-class rotating stage and large LED screen, here is your best choice to have a try of tang dyansty music and dance show and traditional Chinese dumpling dinner. After you select a ticket class in above table, later you shall select show date&time and submit your information, then make payment online by Paypal, then you will get a ticket confirmation voucher in 12 hours. 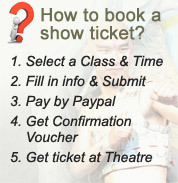 Ticket Confirmation Voucher: How to get show ticket(s)? After make payment online to us, the Ticket confirmation voucher will be sent to you via email. We will delivery your ticket to your hotel for free (downtown hotel only). 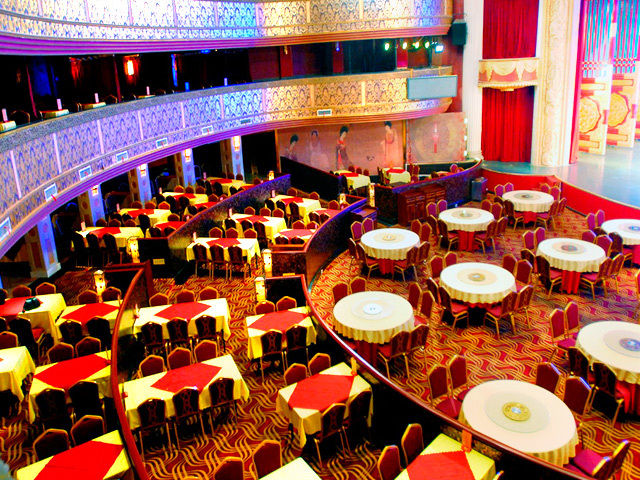 With a long-term contract with Shannxi Sunshine Grand Theatre, we can hold seats till 6:00 pm every show day. If it is already fully booked on the required day, we will inform you via email as soon as possible, ask if you need to change a show day, or need 100% refund. Thousands of our clients have paid through PayPal to book tickets in this way. In case when we find out the tickets have been sold out on the day you required, we guarantee to send 100% refund to your Paypal account immediately. Urgent Booking: How to go to the theatre? 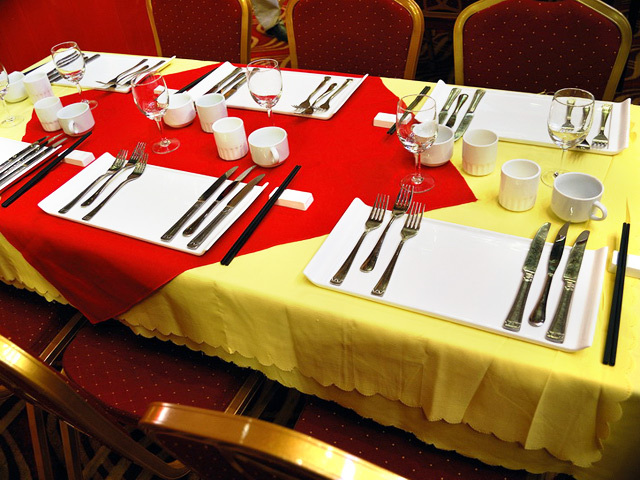 You can directly contact us by Email or call 0086-20-37251788 to make a urgent booking. Please see the transportation guide below. Also the theatre address has been written in Chinese on the confirmation voucher so that you can print it and display it to the taxi driver. Want to cancel the booking? Want to change the show date? No cancellation fee if you change or cancel the booking 48 hours prior to the show day. We will send the refund to your paypal account minus the transaction fee. If you cancel the booking in 48 hours, there is no refund to you, because the theatre will charge us 100% of the ticket cost. Please inform us 48 hours prior to the show day, we will check the availability for seats and contact you as soon as possible. But if we can not change to another day you required, we will recommend another day, or send the refund to your paypal account as required. For more question about this show, please contact our trip advisor. If your hotel is within the city of Xi'an, it costs around CNY15 or less than CNY20 by a taxi to these two theatres. What we see from the Tang Dynasty Show? Tang Dynasty, from the year 618 to 906, was the most open and prosperous dynasty throughout Chinese history. 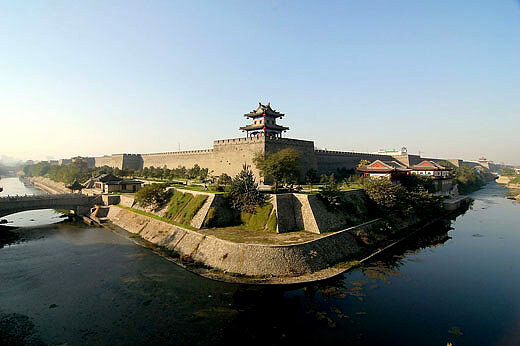 The capital city Chang’an was the biggest and most beautiful city in the world at that time. 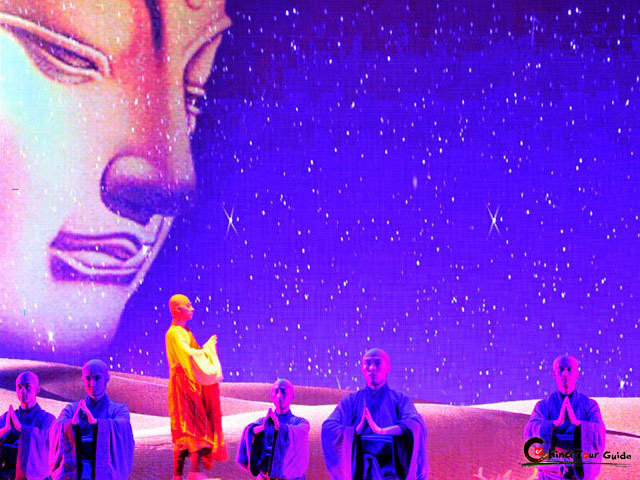 Please follow us to this enchanting Tang Dynasty through the performance. The Tang Dynasty developed this endless silk road as a way to communicate with the rest of the world. As one of the most prosperous countries, Tang Dynasty was leading the world at that time. Ambassadors came here frequently for visits and cultural exchanges. The dance shows the formal rituals of receiving guests in the royal palace. Xun, the oldest musical instrument in China, appeared 6000 years ago when villagers in Banpo imitated the sound of birds and beasts by playing this kind of wind instrument. This Xun solo describes the deep nostalgia when standing under the beautiful moonlight. 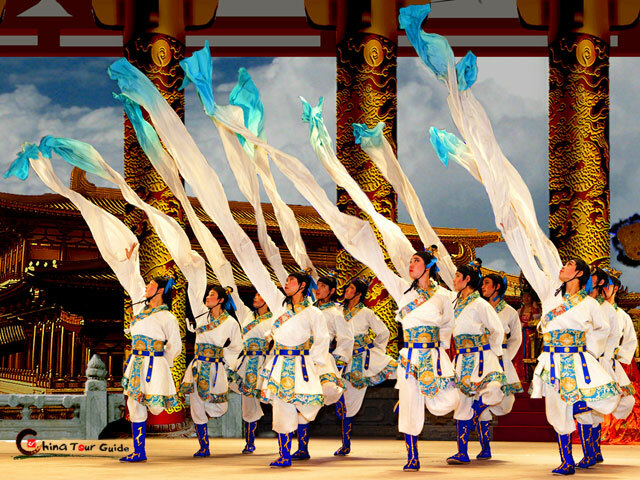 Originating in Wu Kingdom, as early as 256AD, this white sleeve folk dance was popular in Tang Dynasty. Elegance is fully presented by the beautiful long sleeves made from ramie. The back ground music “On the White Ramie?was written by the famous Tang Dynasty Poet Li Bai. Monk Xuanzang spent his life going to India alone and translating the Buddhist Scriptures he brought back into Chinese. This dance presents the whole life of this sage who overcame all difficulties and contributed greatly to Buddhism in China. In early March, a group of young girls return from a spring outing. This classical traditional dance describes the wishes young girls hold for a happy future. Emperor Taizong was one of the most respected kings for his victories in battle and for the management of the country. This dance pictures the way he meets and trains his army. 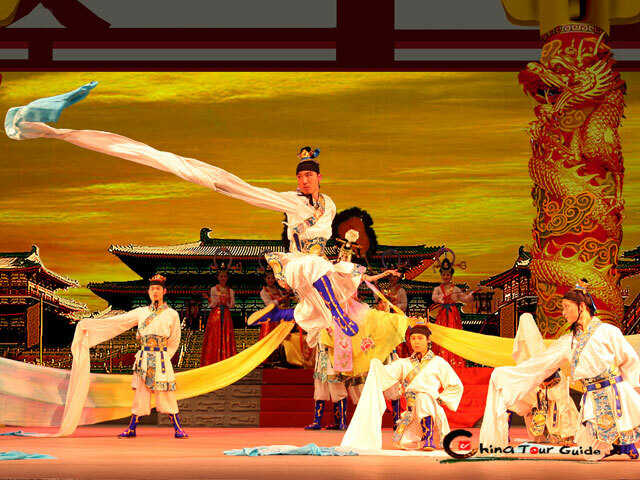 This dance, based on the love story of Emperor Xuanzong and his favourite concubine Yang, is the most popular in Tang Dynasty. 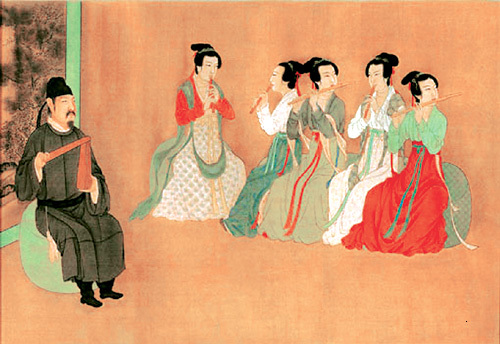 Emperor Xuanzong was good at music and poetry. He had a dream one night of a palace on the moon where fairies, dressed in rosy clouds, sang in the sky. After he woke up, he composed a piece of music based on this dream and asked concubine Yang to create a dance to this music. Suona is a kind of trumpet. This Suona solo describes the joyful scene of people picking and collecting dates in autumn, enjoying the happiness of a good harvest. 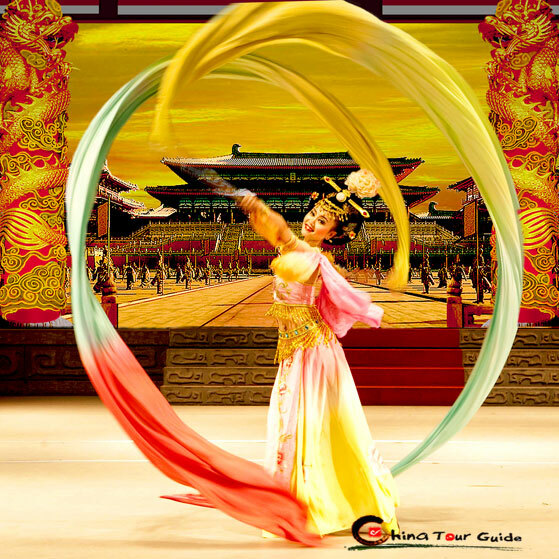 This splendid dance reveals the unprecedented glory of the Tang Dynasty. The essence of this oriental dance and music is fully represented in this closing performance.